As summer fast approaches, a flurry of iPhone 5S release date rumors have emerged with industry insiders and investment analysts all weighing in on the debate. So far, there is little agreement amongst the pundits with the iPhone 5S release date speculated to fall somewhere between June and August. According to a research report out last week from KGI Securities, the iPhone 5S is set to be unveiled together with a cheaper iPhone in June. June is traditionally the month when apple announces the latest version of iOS at the WWDC. This year, iOS 7 will be previewed in June but Apple have never before launched a new iPhone model in the same month. KGI have attributed the earlier-than-expected refresh in 2013 to re-gain ground lost to Android devices as well as the fact that the new iPhone “S” model will just be a spec-bump, and won’t involve any physical design changes. The report goes on to outline the expected technical specifications of the iPhone 5S, with claims that the iPhone 5S will feature an A7 processor, ‘Smart Flash’ for improved photo quality, home button fingerprint recognition. The low-cost iPhone 5 version will be built with a fiberglass/plastic casing and will be available in several different colors. The iPhone 5S price will reportedly be $199 on a 2-year contract and $600-700 unlocked while the low-cost iPhone 5 will be free on a 2-year contract and between $350-450 unlocked. The new iPhone will be announced in early summer but the actual iPhone 5S release date won’t be until August according to Rene Ritchie of iMore. Ritchie claims to have been informed by ‘sources familiar with the plans’ that the iPhone 5S will not feature any design changes, but will have a more advanced processor and improved camera. Given the history of the “S” upgrade, these are not features which take much crystal-ball gazing to predict with reasonable accuracy. iMore go on to suggest that the iPhone 5S release date will be preceded by the launch of the 5th generation and iPad and the second generation iPad Mini in April. An August iPhone 5S release date correlates with predictions last week from analysts at Barclay’s Capital that the 5S and a low-cost iPhone 5 will be launched together that month. Japanese Apple blog Macotakara have reported that the iPhone 5S is already under production at the same Foxconn plant, on the same production line, as the current-model iPhone 5. With production typically taking several months to ramp up in order for Apple to achieve the necessary unit volumes for worldwide launch, it is quite possible that the iPhone 5S is already being produced. 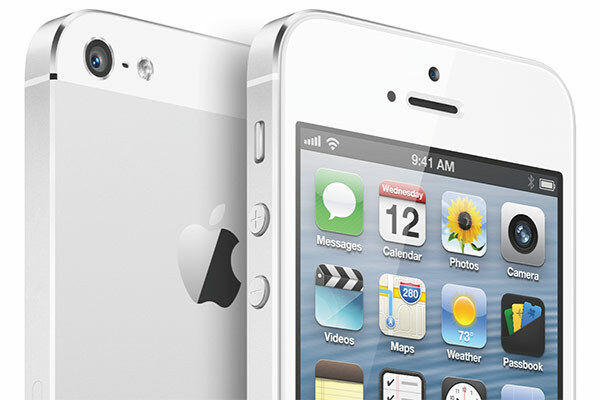 When do you think the iPhone 5S will arrive? Will you be making the upgrade or will you be waiting for the iPhone 6? Let us know in the comments.